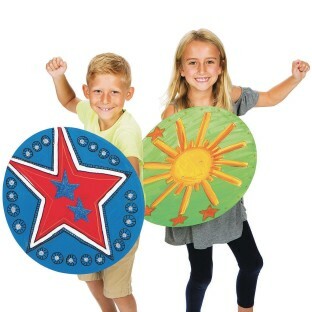 Design your own super hero shield! See our video for easy assembly instruction! Design your own super hero shield! 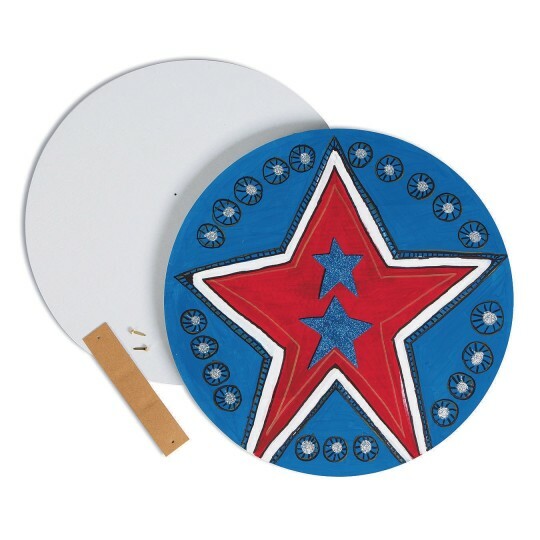 This 18” diameter white cardboard circle comes predrilled with 2 holes to attach the included cardboard handle. Basic assembly required. Decorate with acrylic paints, crayons, markers, collage materials, and more! Decorating supplies sold separately. 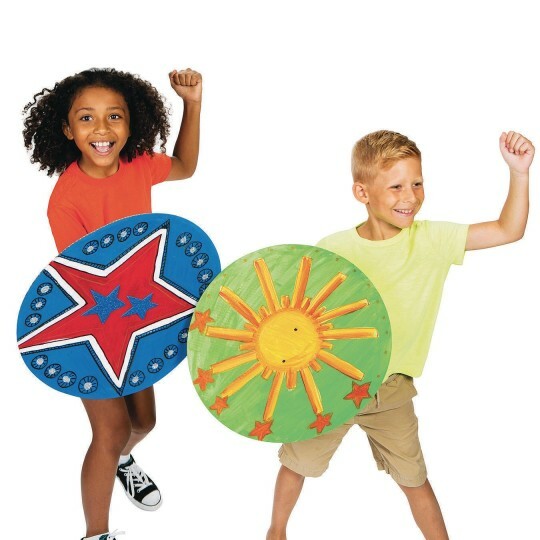 Pack of 24 includes 18” white cardboard circles, cardboard handles, and paper brads.